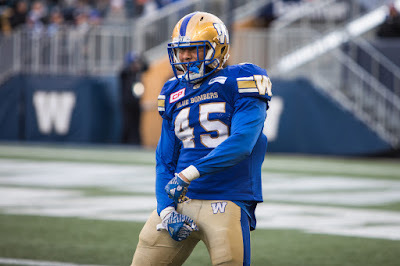 I watched the Winnipeg Blue Bombers and Jovan Santos-Knox play the Edmonton Eskimos last night. An Oregon Live reporter thinks the new NCAA transfer rule will encourage Power Five teams to poach players from Group-of-Five and FCS teams. TMG Sports thinks the new transfer rules will be good for the players.